Gov. Andrew Cuomo has hired a former criminal prosecutor to review his upstate economic development initiatives after learning federal investigators are examining potential conflicts of interest and improper bidding. Cuomo's counsel says Friday that U.S. Attorney Preet Bharara's investigation has "raised questions" about improper lobbying and conflicts of interest by individuals involved in the Buffalo Billion initiative and efforts to attract nanotechnology investment. The administration says Bart Schwartz, formerly head of the U.S. attorney's criminal division in Manhattan, was hired to conduct an internal investigation. Schwartz says the state "may have been defrauded" by the actions of lobbyists and former state employees. In the meantime, the governor's office is now barring any meetings with lobbyist Todd Howe and energy firm Competitive Power Ventures Company, according to a source in the Cuomo administration. The Buffalo Billion centerpiece is a $750 million factory the state is building for SolarCity. The New York Daily News first reported details of the probe Friday shortly before the Cuomo administration statement. 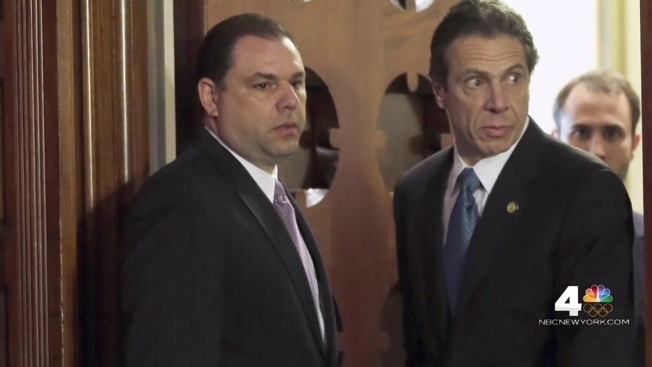 A source familiar with the investigation tells NBC 4 New York that one former Cuomo aide under investigation is Joseph Percoco, the one-time executive deputy secretary who now works at MSG, and at one time was called "a third son" by the late Gov. Mario Cuomo, Andrew's father. Percoco's attorney Barry Bohrer said he was a "dedicated and effective public servant who is proud of the service that he rendered to the people of the state of New York." MSG said in a statement, "As a policy, we do not comment on employees, but we can say that Joe is a man of good character and is a respected executive at MSG."